Understanding Yuri!!! on ICE: Figure Skating 101! After an incredibly strong start, the third episode of Yuri!!! on ICE generated some ambivalence—dare I even say, controversy. The spur-of-the-moment “Hasetsu on ICE! !” skate-off saw a quiet flawed program trump an exciting one with perfect jumps. 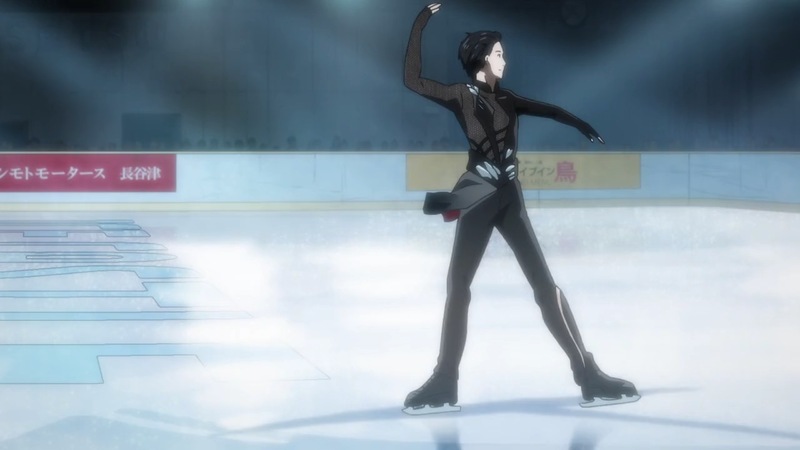 Even I had to agree with a conversation on my Twitter timeline, which lamented how the animation had failed to convince us that Yūri had embodied the “eros” that Victor had demanded of him. 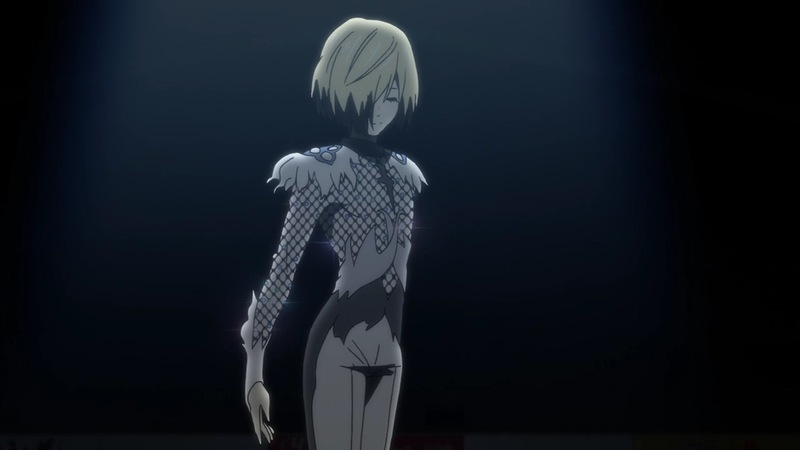 Yurio’s monologue came across as a poorly-judged attempt to tell instead of show viewers exactly why he had lost. It simply wasn’t convincing at first glance. The moment I rewatched the skates, however, I had to change my mind. 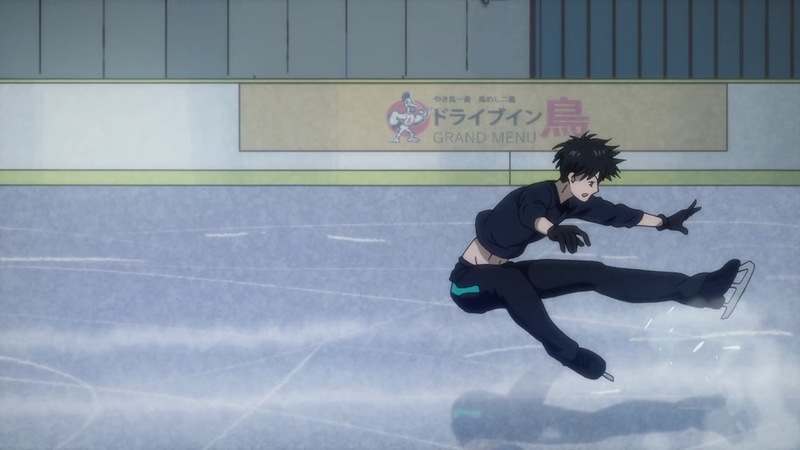 Other fans—and even a former figure skater—have already elaborated on why Yuri’s skate was indeed better, and also how this was demonstrated through the animation. What I realised, however, is that there’s a fair amount of background knowledge that I draw upon to help me understand what’s going on. So I figured that viewers might appreciate a more in-depth primer about how the sport of figure skating works. Yuri!!! on ICE offers a window into the figure skating world through the lens of the senior men’s competition. But as anyone who tunes into the Winter Olympics every four years—or who has seen Blades of Glory—would know, there are several other core disciplines: ladies singles, pairs and dance. Not surprisingly, what’s popular in each country depends on where their skaters are performing, so for a long time, the attention of Japanese skating fans was trained on the ladies, like Miki Andō and Mao Asada. The past few years, however, have seen the rise of the Japanese men, and an explosion of public interest in the sport as a result. Yuzuru Hanyu can arguably be credited for helping bring Yuri!!! on ICE to our screens. Asada and Hanyu, the current royalty of Japanese figure skating. There is a lot more to the sport of figure skating, however. Like all other high level endeavours, skaters spend years developing the skills they need at the highest levels. Besides the flashy jumps, they also have to practice spins and step sequences—along with lifts in pairs and dance—and generally polish their skating skills. All of these elements are the basic foundations of the programs that we see them perform on the ice. But before we even get a glimpse of these elements in competition, skaters will have spent years drilling them separately. Patrick Chan has noted that he’ll only incorporate the quad salchow into his programs when he’s landing them at least four out of five times in practice. And that’s not even dealing with the additional difficulty of having to perform the jump as one of many elements in a continuous program lasting up to four-and-a-half minutes! 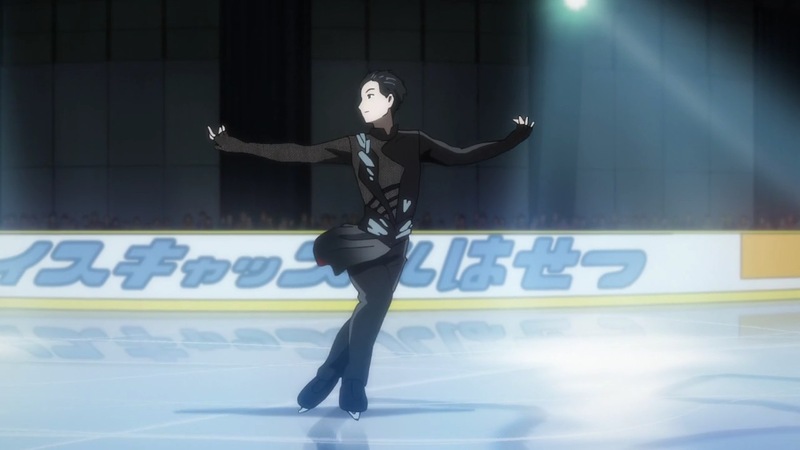 Yūri’s spread eagle, a reasonably difficult entry into his triple axel. The impact of stamina is less obvious, but arguably just as important. For the sake of comparison, short and long figure skating programs can probably be likened to short- and middle-distance events in athletics. 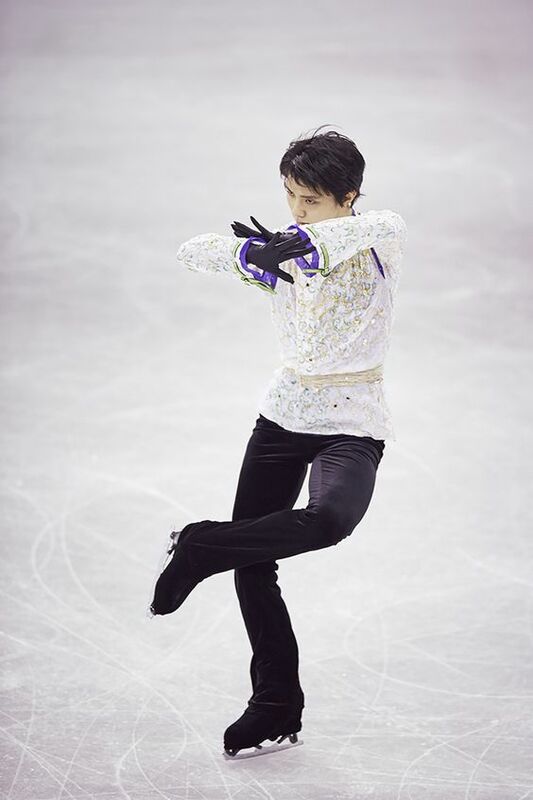 Hence, skaters are often exhausted at the end of their programs—if you watch some of Yuzuru Hanyu’s free skates from a few years ago, he was often gasping for breath even as he acknowledged the audience for their support. This is significant for performance and interpretation, for, as dancers would know, it is incredibly hard to move deliberately and gracefully when one is fatigued. Given the greater difficulty of jumps, transitions and other skating elements as well as the longer length of the free program, it’s not unusual to see skaters take a few seasons to get accustomed to the demands of rising from one level to the next, as Yurio is doing in Yuri!!! on ICE. Let’s turn now an overview of what’s involved in figure skating choreography. Depending on the level of skating (novice => junior => senior), the competitive season spans from August/September through to March/April. During each season, each individual or pair/dance couple performs one short program and one long program in the competitions they enter. Occasionally, they will rework a program they’ve used before, but most of the time, they work with their coaches and choreographers to develop something new. These two programs are usually pretty rough around the edges at the start of the season, but the broad aim is to polish them up and peak for the World Championships in late March. As I mentioned in a previous post, many choreographers are themselves former skaters, who bring their own understanding of and experience in the competitive figure skating world to their work. Most of them aren’t attached to any particular skater, but will instead work with the elites (and ice-show producers and stars) who reach out to them. Hence, famous international choreographers like Shae-Lynn Bourne and Jeffrey Buttle have worked with numerous skaters over their careers, and are apt to choreograph for multiple individuals and pairs each season. There are several parts to choreographing each program. First, and arguably the most important, is what music to use. For senior men, the short program has a maximum length of 2 minutes and 50 seconds, whilst the free program has to be 4 and a half minutes, give or take 10 seconds. Most musical pieces aren’t of such precise lengths, but they can be trimmed and edited to the requirements. Musically-inclined skaters will sometimes have music that they want to use, but choreographers also make suggestions based on a theme and style that they think will fit. There are also specific requirements in terms of the jumping passes, spins and step sequences, which you can read about here if you understand skating terminology. In any case, choreographers usually start working on these programs even as the previous season is still underway.2 This is so that the overall choreography will be ready in April or thereabouts, just in time for the start of the off-season. April or May then marks the start of the next phase. This is when skaters and coaches (and occasionally, the choreographers as well) start working together more closely to develop these programs and tailor them specifically for the former. Needless to say, it helps when choreographers already have a good idea about what skaters (or pair/dance couples) are capable of. For that reason, the process of developing a program is often easier from the second year onwards, after choreographer and skater have had a chance to build a relationship with each other.3 But the payoff can be incredible; one choreographer has even described working with Hanyu as akin to “playing a video game with a skater,” because he just does whatever you ask of him. The pain they endure in pursuit of perfection…! That is why Victor had to ask Yūri what jumps he was capable of. As I mentioned above, skaters often practice these jumps for years before trying them in competition. That Yūri had yet to successfully land a quad salchow in competition despite doing so in practice is not unusual. 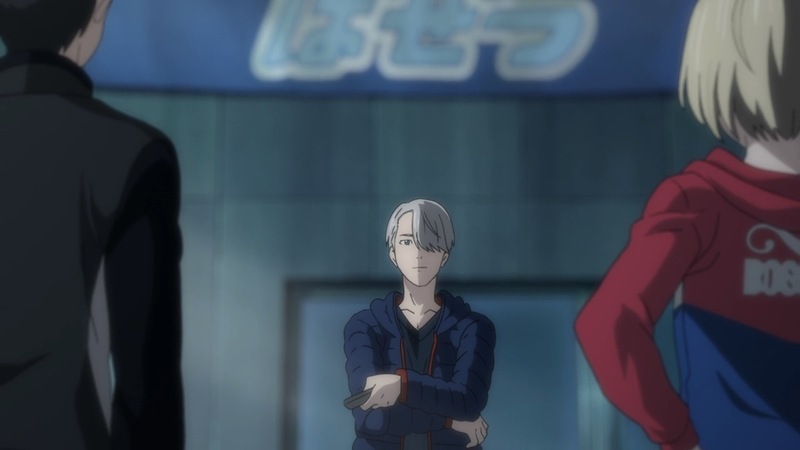 So Victor asking him to do basic practice—jumps, spins and edge work—whilst he taught Yurio his program makes sense to me. It’s not that Yūri can’t execute the jump; rather, Victor wanted to make sure that confidence was really the main issue. 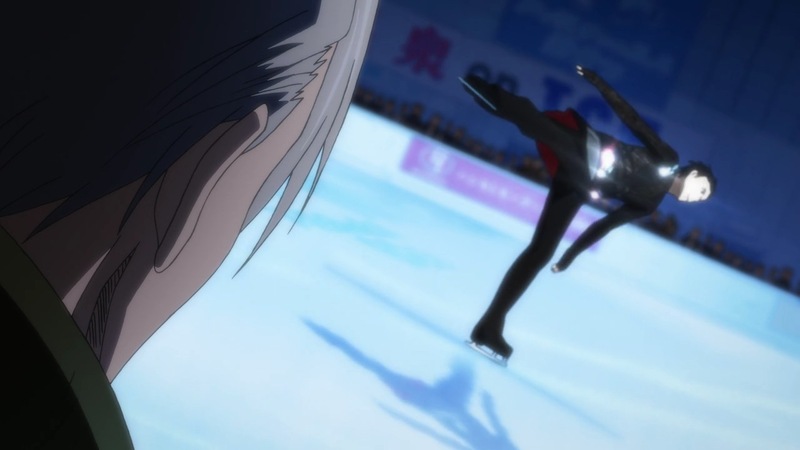 By contrast, since he had been training alongside Yurio under Yakov, he already knew exactly what Yurio could do. Teaching Yurio his choreography first was pretty much common sense. And next on Yuri!!! on ICE…? This week’s episode will cover, amongst other things, Yūri working with Victor to develop his free program. I can’t wait to see what they come up with! And after that, I assume we’ll be plunging headlong into the Grand Prix Final series, the second competition of which (Skate Canada) is taking place this weekend in real life. I really can’t wait, both for the episode and to see where Yuzu’s at now—can you? 11 Responses to Understanding Yuri!!! on ICE: Figure Skating 101! Glad you found it useful! Though since I’m only a fan myself, I’m sure there are a few things that I get wrong or don’t quite understand. I’d recommend that you follow both @Liuwdere and Lazuliblade for analysis and commentary by people who’ve actually done skating! Actually, the latter has just posted something about the programs and how they’re choreographed and used through the skating season as well. Thanks for the explanation. 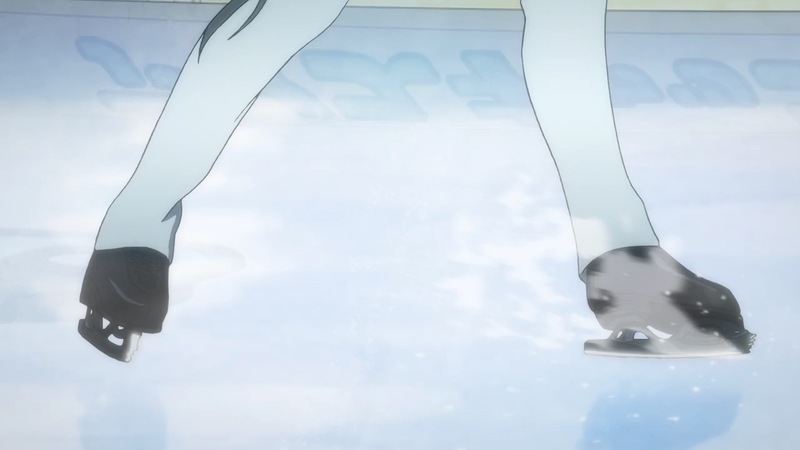 While I have picked up a bit about how they score Ice Skating from casually watching over the years, this really helped to put different things together for me in the context of watching Yuri on Ice. Very helpful. Glad you found it helpful! It’s taken me a couple of years, watching hours of figure skating (with different commentators), and quite a lot of reading on the side. As karice says, all characters are mash-ups of several real life counterparts! Yuuri is equal parts Tatsuki Machida (career), Daisuke Takahashi (personality/skating style) and Yuzuru Hanyu (russian idol/some skating elements). Overall there are numerous details, that reference a multitude of skaters and real life events. To list them all would take days. The initial inspiration for the anime came from Kubo-san’s favourite skater Tatsuki Machida though. There are also famous people from the figure skating scene, who are directly involved. Former japanese champion and world bronze medalist Takeshi Honda provided commentary for the Grand Prix Final in the first episode and Kenji Miyamoto (who was one of Daisuke Takahashi’s and Akiko Suzuki’s main choreographers) created all of the skating choreos for Yuri on Ice.